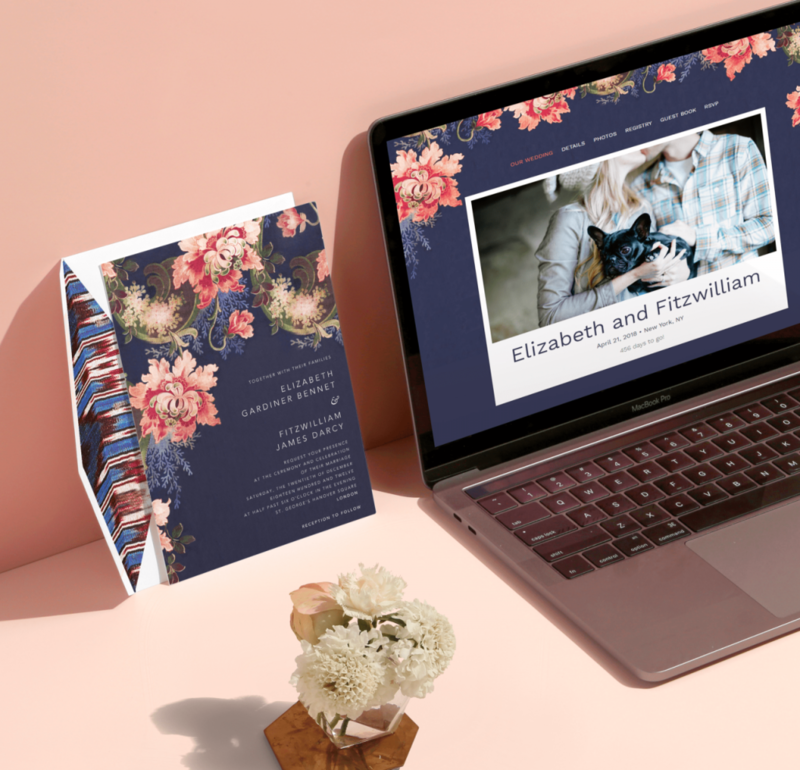 The perfect wedding invitation is a thing of beauty, of course, but in today’s tech-savvy world, guests rely just as much on your wedding website as your stationery for all the important details. 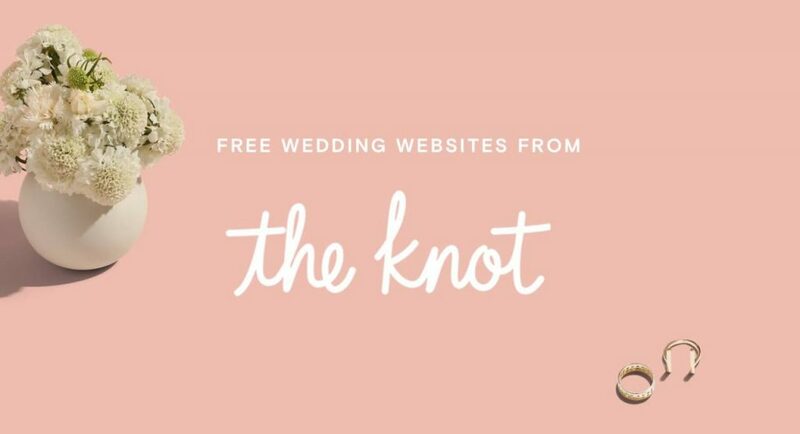 To help you tie everything together on your big day, we’ve partnered with The Knot so you can match your official site with a wedding suite from one of our designer collections, ensuring that your style is carried through every part of your ceremony. 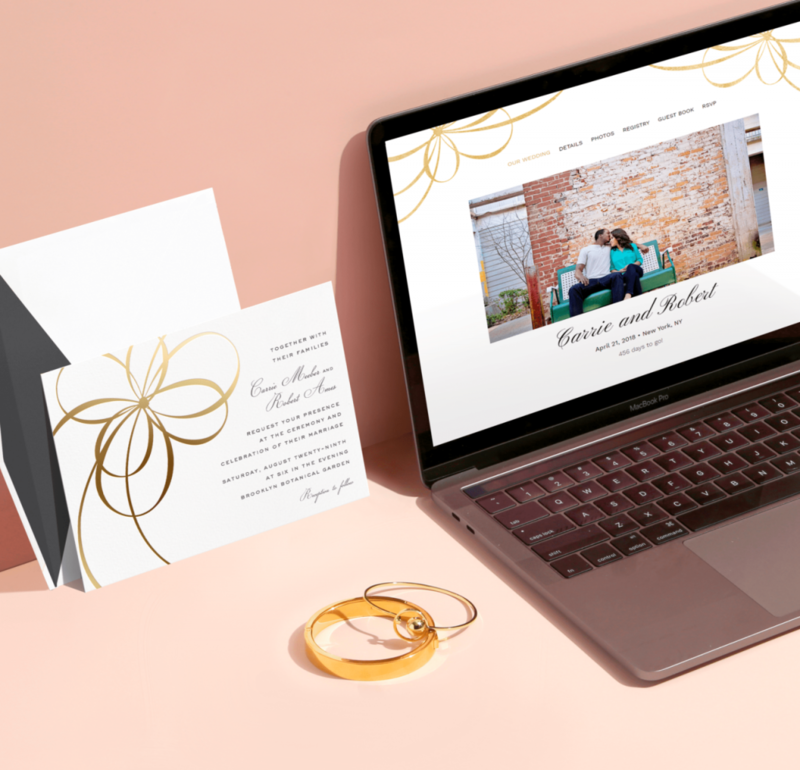 Your wedding website will have more than just good looks, too: you can integrate all your registries, manage your RSVPs, and provide up-to-the-minute travel and scheduling information for your guests in one beautifully simple-to-use location. 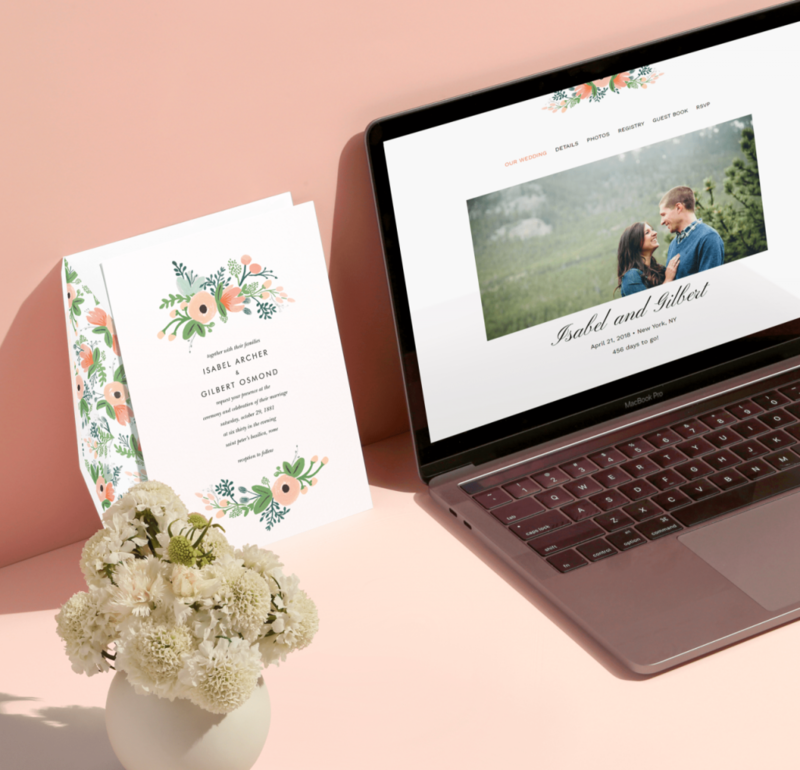 Whether your wedding style is more boho rustic or traditionally elegant, you can now pair your ideal wedding stationery—including options from luminaries in design, fashion, and fine stationery—with a matching website template from The Knot. Oscar de la Renta’s gowns are known for their exquisite laces, prints, and embroidery, and each wedding suite from his collection starts with an actual fabric sample from his atelier’s archive. “Rose Floral Ikat” pairs elaborate wedding bouquets alongside a sophisticated ikat pattern. Pastorally-inspired wedding stationery from Liberty Fabrics is utterly English and unmistakably romantic. “Archival Florals” is plucked right from the iconic design house’s storied print library, making it perfect for a classic bride’s garden wedding. “Wrapped in Wildflowers” by Rifle Paper Co.
A storybook wedding calls for suitably romantic illustrations. Rifle Paper Co.’s signature hand-painted botanicals positively bloom with whimsy and charm in this suite of wedding stationery. Those tying the knot in a bolder fashion will appreciate this metallic suite from kate spade new york—available in gold, silver, and rose gold foil—which features a modern take on romantic ribbons and bows. These are just a sample of the wedding templates we have on offer. With 12 options from some of our favorite design partners, you’re sure to find a choice stylistically suited to your wedding. 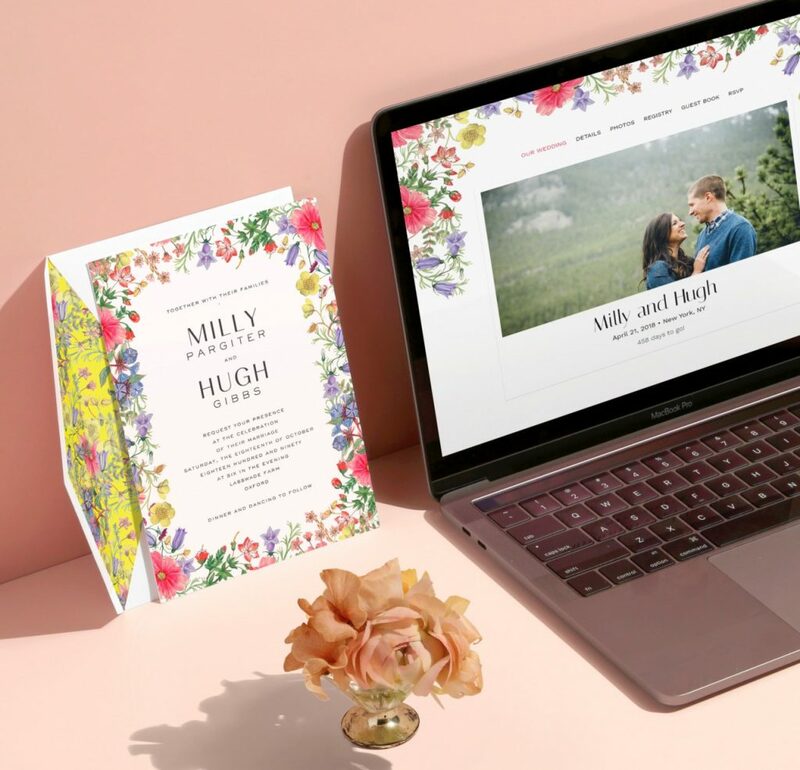 To get some invitation inspiration from the collection, browse our wedding suites and head to The Knot to find your matching website.